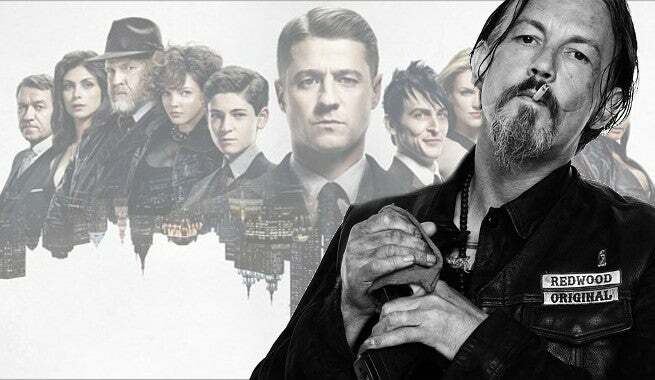 ComicBook.com has learned that Sons of Anarchy actor Tommy Flanagan will be playing a new character called the Knife on Fox’s Gotham. Flanagan tweeted in October that he'll be stopping by Gotham but outside of that, details of his appearance were kept under wraps. The Knife is one of Gotham’s most dangerous denizens. His charming, stylish shell and good humor mask a remorseless hitman whose skills are at the service of the highest bidder. He will sit with you, laugh with you, and then cut your throat. There have been a number of new additions to the show recently, but given Flanagan's recent line of work, we're expecting something fierce and downright terrifying from him. Given the stride Gotham has hit with it's second season, adding this veteran is another surefire way to get fans to tune in. The Knife will make his debut in the 10th episode of Gotham’s second season.